•All fees and tuition are non-refundable and non-transferable under any circumstances. • TWOGCM Camp fees include: breakfast, lunch, and field trips for all campers. • T-shirts is included in the non-refundable registration fee. • There is a 10% discount for siblings. • Only register your child for the weeks you are certain they will be attending. You are financially responsible for each week you register your child (whether they attend camp or not). If your child will be unable to attend a week of camp that you previously registered for, a one-week notice is required (the Monday before the following week of absence.) A $25 no show fee will be automatically charged to your family account for late notification of an absence. • Registration fee of $40 per camper is due at the time of enrollment. • Late payments will incur a $10 fee. Weekly tuition payments are considered late after 6:01pm on the Friday before the following week. If payment is not made at this time, your child will not be allowed to return until the tuition payment plus late fee is received. • Payment can be made online within your Jackrabbit Parent Portal or in person can be made by credit, debit card, money order, or check made payable to The Bara School. No cash will be accepted. • Please note Extended Care is available for no extra cost. Extended care is only for families who NEED it. •Children who are not picked up by their designated dismissal time will be sent to a supervised waiting area. For this service there will be a charge of $5 for every minute (based on the official clock). The late fee will be due at the time of pick up. The late fee must be paid before that child may return to camp. As parent or legal guardian of the below named participant, I give permission for my child to attend the activities and/or events that TWOGCM Camps and The Word of God Christian Ministries (TWOGCM) will be conducting during the 2019 summer camp session. The participant and his or her parents/legal guardians will decide whether the individual will participate in any particular event during the year. If the participant and his or her parents/legal guardians elect to participate in any particular youth activity during 2019, this authorization and consent shall apply. I understand that some events will include transportation to and from functions locally and outside of Hampton, GA and will involve activities in which an adult will work with a group of youths. The adult will NOT be able to provide individual attention and supervision to each participant at all times. I, as parent or legal guardian, and on behalf of the below named participant, hereby release, hold harmless and indemnify TWOGCM Camps and TWOGCM, its officers, directors, employees, agents, partners and volunteers from and against any and all claims, causes of action, actions and/or liability of every nature and kind pertaining to such activities, wave and relinquish whatever right either I may have or which might otherwise occur against TWOGCM Camps and TWOGCM its officers, directors, employees, agents, partners, and volunteers. Provided the medical care and treatment of the participant is on the advice of a licensed physician, I authorize and request all physicians, hospitals, or other providers of medical services to follow the instructions of any person identifying himself or herself of an adult supervisor of the youth for TWOGCM Camps and TWOGCM, at any time and under any circumstances whatsoever. I understand that the authorization and consent herein provided includes any x-ray examination, anesthetics, medical or surgical diagnosis or treatment, and hospital care rendered to the participant under the general or special supervision or on the advice of a licensed physician, surgeon and anesthesiologist, dentist, or other qualified medical personnel acting under their supervision. The consent, waiver, authorizations indemnification and release provisions hereof shall remain in full force and effect until written notice of revocation is received by TWOGCM Camps and TWOGCM in its office in Hampton, GA. I HEREBY ACKNOWLEDGE THAT I HAVE READ, UNDERSTAND, AND AGREE WITH THIS RELEASE OF ALL LIABILITIES AND THE AUTHORIZATION OF MEDICAL TREATMENT BY A LICENSED PHYSICIAN AND THAT A PHOTOCOPY OF THIS DOCUMENT SHALL SERVE AS THIS ORIGINAL. •TWOGCM Camp starts at approximately 8:30 a.m. and ending at approximately 3:30 p.m. We will be closed July 1st - 5th, for the Independence Day holiday. •Children who are ages 3 - 14 are eligible for TWOGCM Camps at The Word of God Christian Ministries. •The TWOGCM Camps program at The Word of God Christian Ministries is operated as a service for the benefit of the families in our community. Students are admitted without regard to race, color, or national or ethnic origins, and TWOGCM does not discriminate with regard to these areas in its policies or procedure. All children will be taught the Bible and Biblical principles during their time in the summer day camp program. •Proper discipline will be maintained at all times. Parents will be notified of problems encountered by the camp staff. If the problem cannot be corrected in a timely manner, TWOGCM Camps at TWOGCM reserves the right to restrict, suspend, or expel any child at the discrimination of the administration. TWOGCM Camp maintains a zero tolerance bullying policy. •Children are expected to dress modestly at all times and refrain from wearing clothing that is inappropriate for a Christian environment. Shorts must not be shorter than 3 inches above the knee and no torn shirts or A- shirts are not permitted. All decisions regarding the dress of children enrolled in the TWOGCM Camp will be made by the administration. Please print your child's name on his/her clothing tags and other items brought to camp. •Children may not bring toys or games of any type from home, and TWOGCM Camps at TWOGCM will not be responsible for items brought from home. •Electronic devices are not permitted without approval from the Director. •Children may not bring candy or gum to camp. Parents are responsible for sending a morning snack with their child. Proper discipline will be maintained at all times. Parents will be notified of problems encountered by the camp staff. If the problem cannot be corrected in a timely manner, TWOGCM Camps at TWOGCM reserves the right to restrict, suspend, or expel any child at the discrimination of the administration. TWOGCM Camp maintains a zero tolerance bullying policy. 1. 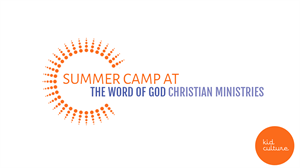 TWOGCM Camps at The Word of God Christian Ministries agrees to provide summer care for my child Monday through Friday, during regular camp hours, (**camp hours may vary depending on which program your child is registered for) from May 28 to July 26, 2019. TWOGCM Camps will provide breakfast and lunch. I am responsible for providing my child's afternoon snack. 2. Before any medication is dispensed to my child, I will provide a written authorization on the form provided by TWOGCM Camps at The Word of God Christian Ministries. The medicine will be in the original container with my child's name on it. 3. TWOGCM Camps at The Word of God Christian Ministries agrees to obtain written authorization from me before my child participates in routine transportation, field trips, special activities away from the facility, and water-related activities in water that is more than three (3) feet deep. 4. If, during the summer, our home address or home/business telephone numbers change, I will immediately notify TWOGCM Camps at The Word of God Christian Ministries summer day camp. 5. For safety's sake, I will keep my child's enrollment information up-to-date, and will promptly notify TWOGCM Camps at The Word of God Christian Ministries in writing of any changes. I am aware that it is the parent/guardian's responsibility to see that children are escorted into the building and left with the proper staff members. TWOGCM Camps at The Word of God Christian Ministries accepts the responsibility of ensuring that children are released only to authorized adults. I understand that my child must be signed out every day and cannot be released by camp staff members until they have been signed out. 6. I give full permission for TWOGCM Camps at The Word of God Christian Ministries personnel to exercise necessary authority in my stead to protect, render medical attention, discipline and control as needed for/by my child. I do further absolve TWOGCM Camps at The Word of God Christian Ministries summer day camp from any liability for accident or injury, on or off campus, for which the school has taken reasonable precaution and care. 7. If my child becomes ill during the day, I will come promptly when contacted or make arrangements to have my child picked up. TWOGCM Camps at The Word of God Christian Ministries agrees to keep me informed of any incidents, including illnesses, injuries, adverse reactions to medications, exposure to communicable diseases, which may affect my child. 8. I understand that enrollment and attendance at TWOGCM Camps at The Word of God Christian Ministries summer is a privilege and not a right. That privilege may be forfeited by any child, parent, or family that does not conform to the standards and regulations of this institution. I also realize that TWOGCM Camps at The Word of God Christian Ministries may at any time request the withdrawal of a child who, in the opinion of administrative personnel, is not in harmony with the spirit of the institution, regardless of whether or not he conforms to the specific rules and regulations of TWOGCM Camps at The Word of God Christian Ministries..
9. In the unlikely event that TWOGCM Camps at The Word of God Christian Ministries' ceases to operate for any time for any reason, I agree that no money is owed to me other than that which has been paid in advance for unused weeks. I agree not to pursue any legal remedies whatsoever due to the closing of TWOGCM Camps at The Word of God Christian Ministries'. 10. Realizing the importance of understanding and open communication between our family and TWOGCM Camps at The Word of God Christian Ministries, I will promptly bring any problems or areas of misunderstanding to the attention of TWOGCM Camps at The Word of God Christian Ministries administration in a professional manner. I give permission to Kid Culture at The The Word of God Christian Minisstries, news affiliates, and corporate sponsors to photograph and/or video my child while he/she attends camp. I understand that these photographs and videotapes may be used for advertisement, training, and public relations campaigns.